VOG’s Accelerated Lead Generation Engine is an innovative, comprehensive, and aggressive service that runs on VOG’s proprietary real-time advertising / video marketing platform, and is an efficient low-risk, high-return advertising solution available to you right now. Contact VOG Advertising today to get started! VOG has brought the most effective lead generation strategies together in a single powerful platform. VOG’s Accelerated Lead Generation Engine uses the most advanced advertising technologies to target audiences with precision and accuracy wherever they are, on whatever device they may be using. VOG’s Accelerated Lead Generation Engine runs on the most powerful influencer of all: video. No other company in the industry can produce premium quality video as fast and as effective as VOG. We inspire action by presenting your prospects with powerful video experiences, placing them on the fast track to conversion. VOG’s Accelerated Lead Generation Engine is supported by a hypercharged marketing automation system. Using advanced retargeting techniques, social engagement, and autoresponder technologies, we ensure that potential customers don’t fall through the cracks or lose interest before making a decision. The system also continues to engage with current customers converting them into influential brand advocates. With VOG’s Accelerated Lead Generation Engine, we keep our finger on the pulse with real-time campaign optimization. We monitor each video campaign’s performance in real-time to gauge audience actions and reactions. 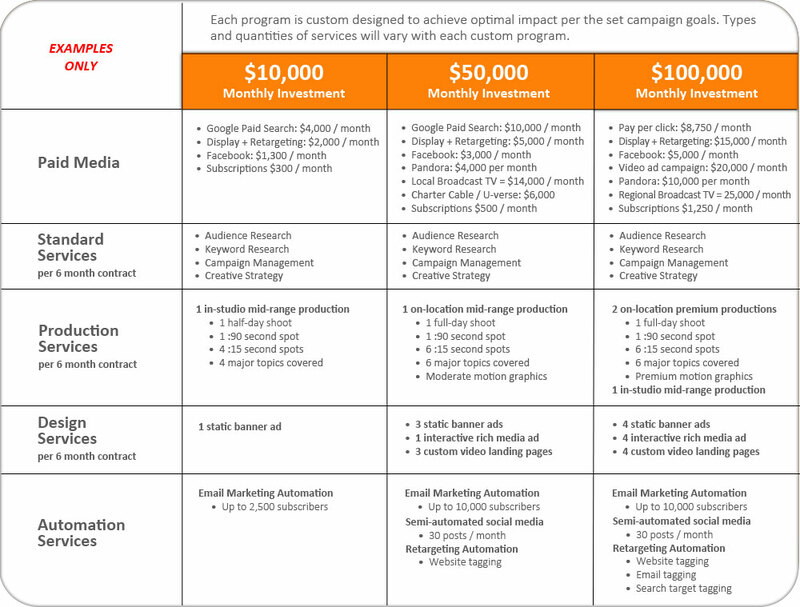 This allows us to alter and optimize video content and campaign strategies on-the-fly. VOG’s Accelerated Lead Generation Engine achieves the highest advertising ROI in the industry by consolidating media planning, creative strategy, and production onto one team. 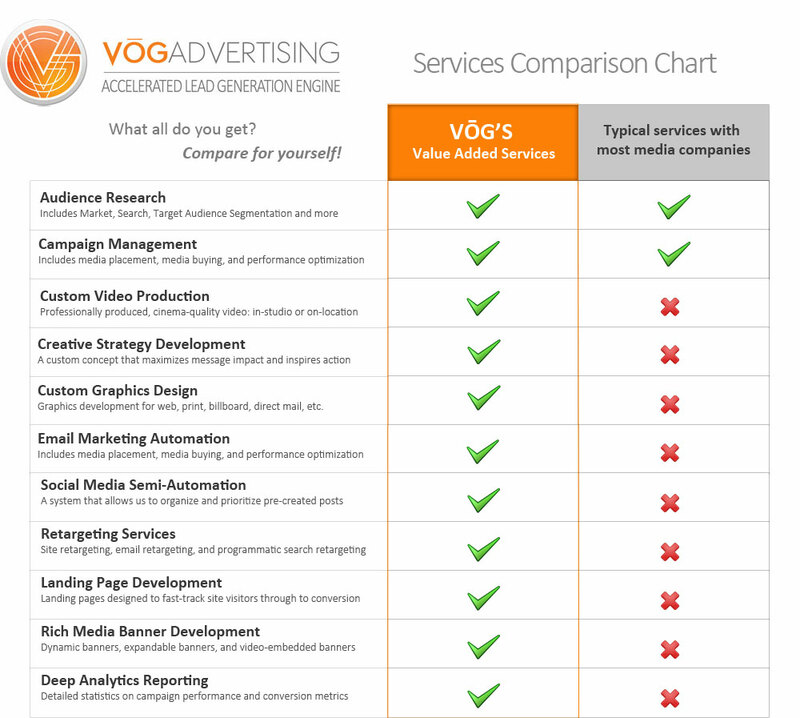 VOG's low overhead business model allows us to provide services beyond the standard services found with other advertising media agencies.